This article was written by Alan McNairn and originally published in Casting Frontier's Casting Quarterly Newsletter. Thirty alumni of Scott Sedita Acting Studios are currently working as series regulars in TV shows. A page on his studio’s website has a tellingly huge gallery of headshots of well-known and up-and-coming working actors who have attended the school. Scott is clearly doing something right. Scott Sedita is quite open about how he and his staff have succeeded in turning a school that began 20 years ago with a modest 10 students into one of the top acting studios in the entertainment industry. 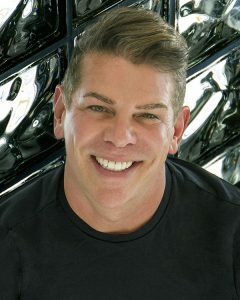 The driving force, Scott says, is his belief that actors must be “either working at the work that they have got or working at getting work.” In other words, he says, “If you’re not working, you should be preparing for work.” As well as instilling this mantra in his students, Scott practices it himself. He believes strongly that his school, as well as his students, must re-boot when necessary to meet changing demands of the market. Scott earned his place in the actor training profession by acquiring a deep understanding of key components of the entertainment business. He studied acting and film directing in Boston, and then worked as a talent agent (at the ripe young age of 22) in New York, where he learned that he had the ability to identify talent and help develop it. 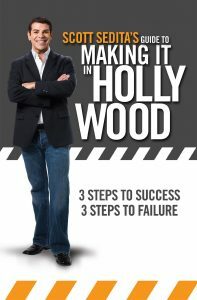 In his first job in Hollywood, as a casting director, he found out how and why people did well in auditions. There he began to hone his skills in teaching actors to work in front of the camera. Taking a chance, he set up a school with a few students in a rented room on Larchmont Blvd. “I worked really hard and invested in the one person who I could believe in: myself. I was the first acting coach in LA to have a camera in a theatrical acting class. 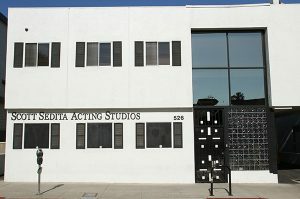 In the beginning, I taught a lot of audition technique and tried to instill in my students a belief in the marketability of who they were and what their essence was.” Today, Scott Sedita Acting Studios occupies the whole ground floor on Larchmont and he employs an expanding group of skilled teachers. 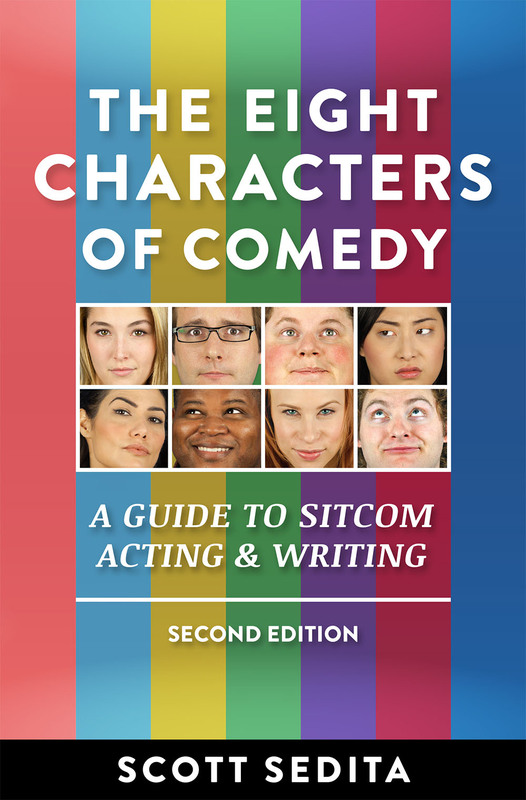 Along the way, in developing the methods he practices in teaching acting, Scott wrote The Eight Characters of Comedy: A Guide to Sitcom Acting & Writing. “It was the only book on the market that taught people how to do comedy,” he says. It’s a book that has reached a very wide audience. Scott reports that it is a textbook in over 100 college and university acting schools around the country and abroad. 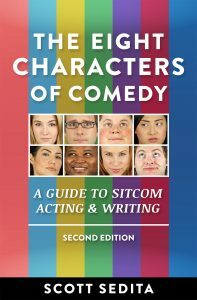 Comedy writers have gravitated to it as well, so that in many cases both they and actors working out of the same playbook can communicate in the same language. Formerly a professional comedy writer, Scott comes at the subject with a rare expertise that he generously shares on speaking tours in the United States, Canada, Europe and Australia. These speaking engagements further the message of his sitcom acting book, which has been translated into several languages. Scott’s second book, Scott Sedita’s Guide to Making it in Hollywood, must be read by anyone, no matter how far along they are in their way to securing a reputation as a working actor. In it, Scott clearly defines Three Steps to Success and three dangerous ways actors can sabotage their careers by succumbing to fear. His measured and clear advice is based on years of experience in working in various facets of a constantly evolving industry. He is adamant that actors must strive to maintain their momentum, emphasizing that professional acting is a lifetime commitment. Addictions, distractions and wrong actions can be avoided if actors benefit from their unstructured life by actually working on their career whenever they have the opportunity. Dedication to developing a brand and rebooting periodically in response to experience is the best way for actors to combat disillusionment, prevent procrastination and elevate self-confidence. Because the industry constantly changes, an actor’s needs in preparing for the process of booking jobs also evolve. Readying oneself for an appearance before a casting director and developing a reputation for professionally carrying out the demands of a job are crucial pre-requisites to becoming a working actor. Scott says that his innovative use of a camera in a Hollywood acting school was based on the belief that an actor’s comfort when working before a camera was absolutely necessary. The camera now may be ubiquitous in Hollywood acting schools but Scott is not resting on his laurels. In fact, he considers dwelling on his past accomplishments anathema to future success and it is something he warns actors against. As an enthusiast of forward-looking activity for himself and his students, he developed Scott Sedita’s Actor Audition App. This highly functional app allows actors to work their material and pursue voice and speech exercises wherever they are. This ingenious resource, he says, puts the actor in charge, instantly providing them with “the information they need to do the work and constantly prepare.” He holds that “everything you do as an actor, is preparing for that opportunity to come.” In his words, the app is, “an acting coach in your pocket. In talking with Scott, one is taken with his enthusiasm and pride in the accomplishments of his actors. The best indication of his skill as a teacher is his very personable style. He always welcomes auditors to his studios, has set the course fees with sensitivity to actors’ often-strapped finances and modestly insists that his is a truly actor-friendly establishment. Sedita’s remarkable success record proves that his advice and training is an invaluable resource to all actors with a serious career commitment. 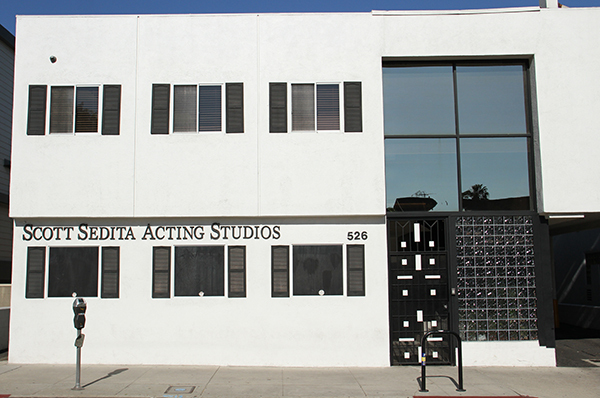 Be the first to get the latest updates and exclusive content from Scott Sedita Acting Studios!